I love the details that Mr. dePaola puts in all his illustrations. For example in the houses of the village. Children love it when Big Anthony is naughty and causes the disaster that Strega Nona has to set right. There is something about other children being bad that children love. They never miss the message in this fun little book. Today, the book comes with a CD of Tomie dePaola reading the story. I suppose that is because parents can tire around the 100th reading to their children! 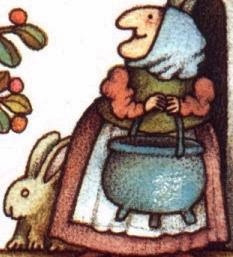 In a town in Calabria, a long time ago, there lived an old lady everyone called Strega Nona, which meant "Grandma Witch". Although all the people in town talked about her in whispers, they all went to see her if they had troubles. Even the priest and the sister of the convent went, because Strega Nona did have a magic touch. She could cure a headache, with oil and water and a hairpin. She made special potions for the girls who wanted husbands. Tomie dePaola was born to parents of Italian and Irish descent in the U.S.A. in 1934. For over forty years he's worked as an illustrator and writer of children's books. 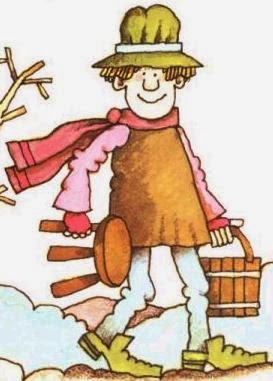 His best known and most beloved stories are about Strega Nona (Grandmother Witch), an elderly, magical, grandmother living long ago in a village in Calabria, Italy. He says he based Strega Nona loosely on his Italian grandmother. 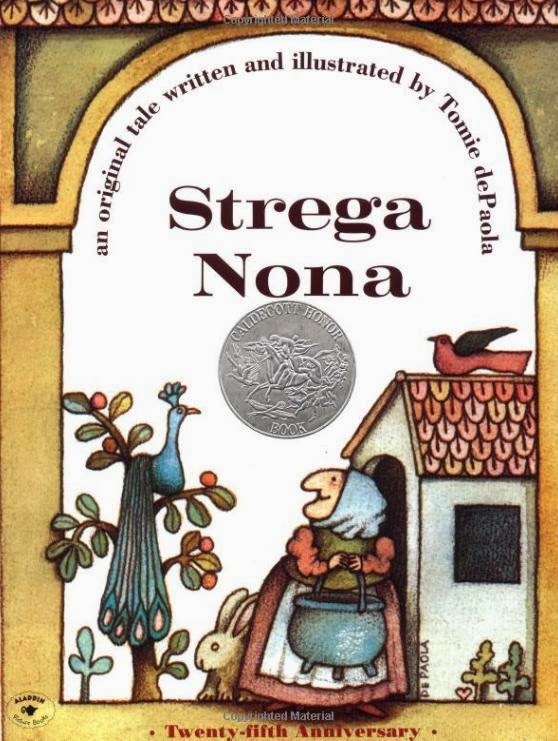 There are eight Strega Nona stories. The American Library Association annually awards children's books with The Caldecott Honor Books and Medal. 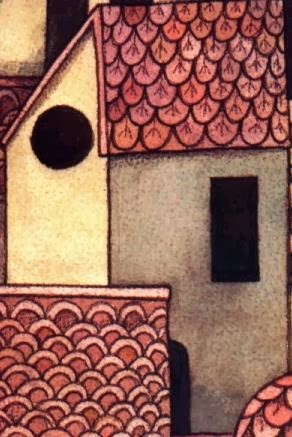 Mr. Tomie dePaola, writer and illustrator, won the title of Honor Book in 1976 for his illustrated children's book Strega Nona. And he's received the Newbery Honor Award and the New Hampshire Governor's Arts Award of Living Treasure, Smithson Medal from Smithsonian Institution, Regina Medal from Catholic Library Association. And many of his other books have won awards of their own. By now there are eight Strega Nona books, and even more books by Tomie dePaola, or illustrated by him Here are some of books at Amazon.com. And here is a link to Tomie's page at Amazon.com , where you can find all his books. 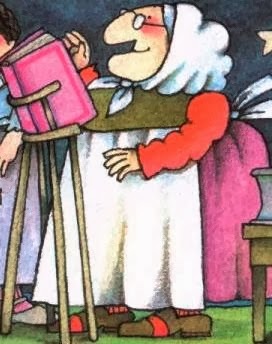 The original Strega Nona story has been made into a 10 minute video with Tomie dePaola reading the story for children. It is very sweet, as sweet as the book itself. Here it is via YouTube.